The new app, likely the first of its kind, was created by three Richmonders. 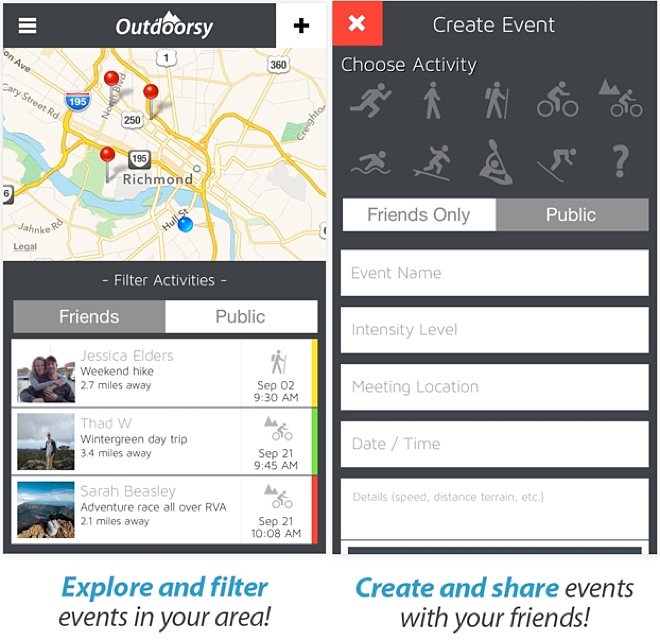 Outdoorsy, a locally-designed iOS app, makes it easier for people to hike, bike, run, ski, and surf with others. Users create an outdoor-related event or activity and choose whether to invite friends or the public to participate. Users also choose the level of intensity, later color coded with either green (low), yellow, or red. “It’s all user-based, so we don’t input any sort of data or information,” Werderman said. In addition to creating events, users may also look up existing events and activities close to them, as well as discuss them with other users. 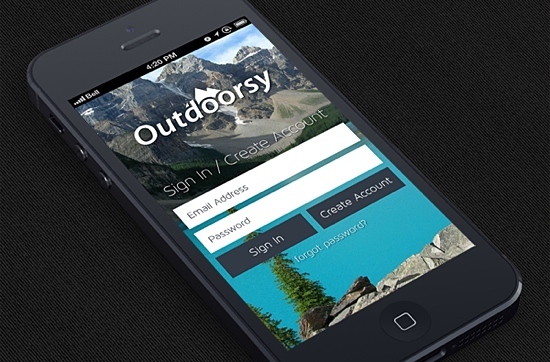 Werderman believes Outdoorsy is the first app of its kind. As of last week, roughly 500 people in Richmond have downloaded the app. “Our benchmark of success is not downloads, it’s actual usage,” Werderman said. Outdoorsy creators have kept discussions of the app Richmond-based because they’ll soon roll-out iOS 7-specific changes to the app as well as added features that will add more social aspects in coming weeks. After the updates, the creators will push national awareness of the app. Download Outdoorsy in the App Store.